For a 3 night stay or longer, tranfers to and from the Essaouira Bus stop are free. 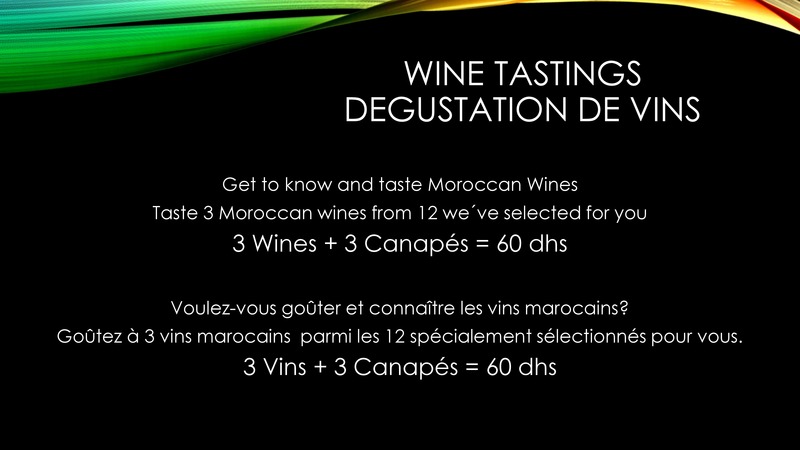 For a 3 night stay or longer in a Mini Suite, we’ll provide a half bottle of Moroccan wine for you to enjoy during your stay. For a 5 night stay or longer in a Mini Suite, a city tour accompanied by official guide speaking english. Les Délices de Zahra restaurant. Don’t hesitate to contact me for any further information.